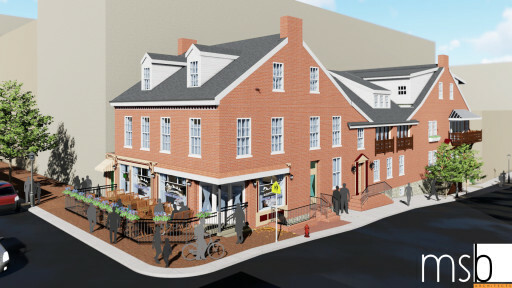 The owner of Schmankerl Stube, the popular Bavarian-style restaurant in downtown Hagerstown, has announced plans to expand the restaurant in a major renovation that will more than double its dining space and feature a new open-air atrium on the second floor. “We’re thrilled to make this investment in our restaurant and in downtown Hagerstown,” said Owner and Executive Chef Dieter Blosel. Construction is set to begin in early Spring 2018 and is scheduled for completion by the end of the year. Chef Blosel plans to temporarily convert the front outdoor seating area into an indoor space to allow the restaurant to remain open during construction. He also hopes to expand in stages, allowing diners to enjoy the new areas as they are completed. 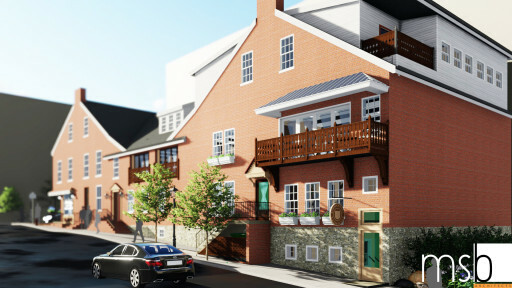 “By adding a dining area on the second floor, we will have plenty of room to accommodate large groups and parties while keeping the intimate atmosphere and traditional Bavarian décor that our customers cherish,” Blosel said. The second-floor dining area will have a glass wall system that slides to one side, allowing the entire dining space to be an open-air experience. A portion of the second floor will also open to an atrium, allowing diners to view the original bar on the first floor below. The name “Schmankerl” means Bavarian culinary delicacy and “Stube” means a cozy room in a comfortable setting. Since opening on April 2, 1988, “The Stube” has become one of the top-rated German restaurants on the East Coast, receiving recommendations from The Washington Post and averaging 4.5 stars on TripAdvisor and Yelp. The architect on the project, Scott Bowen of MSB Architects, said the Schmankerl Stube’s authentic Bavarian cuisine and décor served as the inspiration for the addition. Construction will be handled by Morgan-Keller.